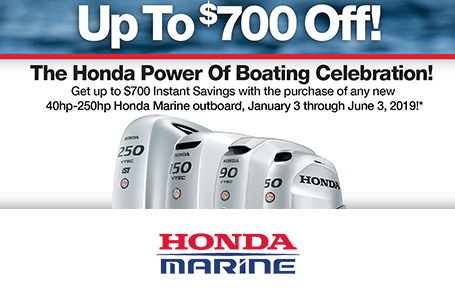 Legendary Honda Reliability: The technology we applied to our 75, 90, and 100hp outboard engine is the very same that powers one of the most popular cars in the world, the Honda Fit. 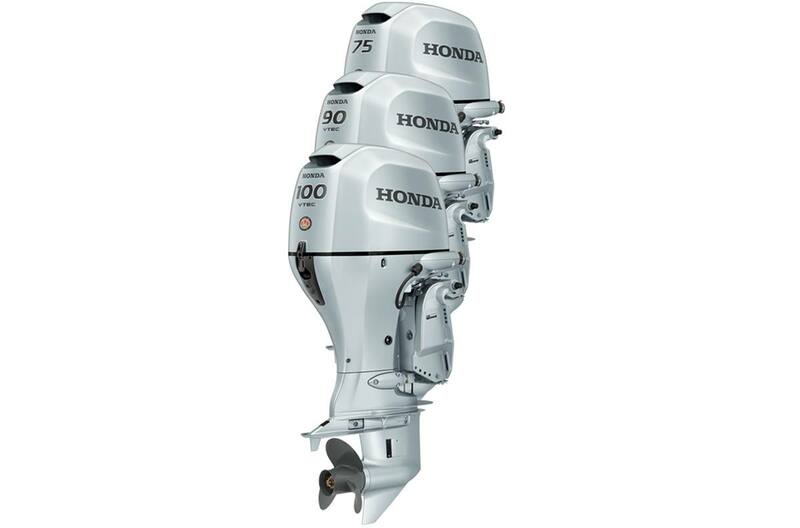 VTEC® - Smooth acceleration and power (90hp): Available on the BF90 and BF100, Honda’s Variable Valve Timing & Lift Electronic Control (VTEC®) system provides power where and when you need it. VTEC gives you a broader, flatter torque curve and smooth power delivery throughout the engine’s operating range. The result is a superior combination of power, torque and fuel economy. VTEC is the modern replacement for displacement. 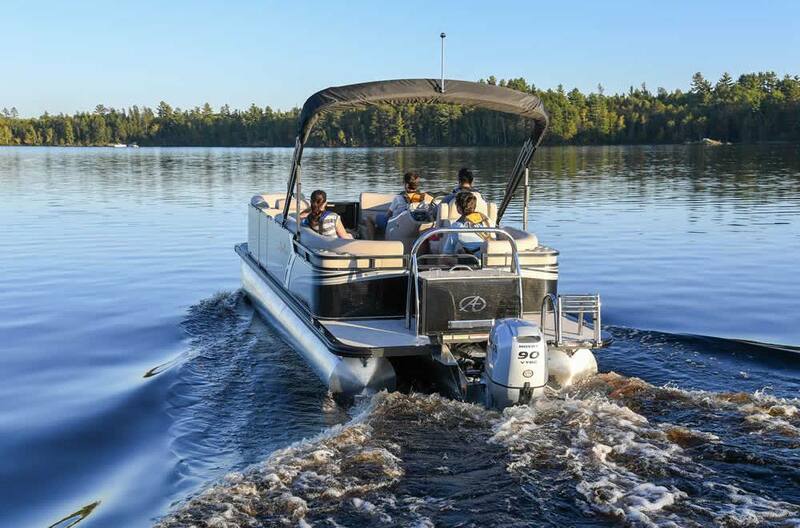 Fisherman Friendly Variable Speed Trolling: Another great advantage for fishermen is the 75, 90, and 100’s push button troll speed. Simply push up or down in 50 RPM increments from 750rpm to 1000 rpm. It’s standard on the tiller and optional on the remote. Lightweight: The BF75, BF90, and BF100 are among the lightest engines in their class. Torsion Dampener - improved handling. : Sometimes called a flywheel, it is located near the base of the powerhead. This design lowers the center of gravity for improved handling. Overall Width: 480 mm/18.9 in.